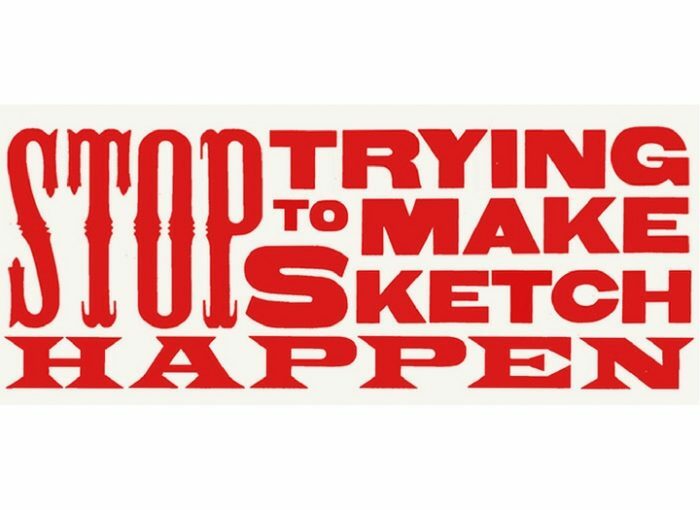 It’s a scary post-truth world, but here’s a fact for you: Stop Trying To Make Sketch Happen! is everyone’s favourite comedy night of all time. And we’re back on Monday 13th February with ANOTHER incredible line up of London’s best sketch and character comedy. Book in advance for £5 to guarantee a ticket (recommended), or chance it and PWYW on the night. Character comedy from this master storyteller, comedian and writer. Brand new oddball sketch comedy from Stuart Laws (“chronically funny stand up” TimeOut) and Matt Winning (insert quote) and a third person yet to be cast (“Patient and willing” – Casting Advert). They’re a sketch act who do sketches about sketches, and also Wario from Mario. SHIPS, aka Cathy and Michelle, are a sketch comedy duo. There is no rhyme or reason to anything they do. They pretend to be other people (or things) and they tend to make people laugh. On purpose. Most of the time. Our headliner is the award-winning musical comedian and improviser Rachel Parris. You’ll know her from Austentatious, The Now Show, and BBC 6 Music. Book your tickets now for just £5!